As a trusted laboratory services provider to the aerospace and aircraft industry, FMi Chemical has earned accreditations from the ANAB® under ISO/IEC 17025:2005, and from the Nadcap® Management Council. Whether you are a manufacturer or MRO services provider, we know you are committed to maintaining the highest quality, performance, and safety standards in the products and services you provide to your customers. 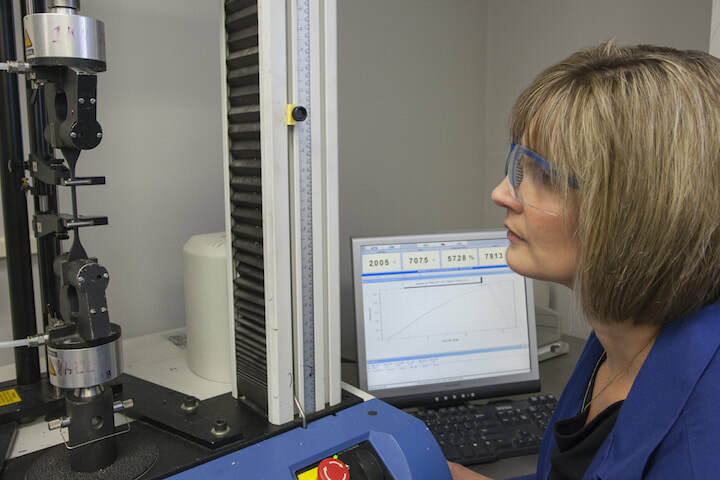 FMi Chemical's accredited testing laboratory can help ensure that the nonmetallic sealants, compounds and coatings you purchase meet your strict specifications for quality, reliability and performance. FMi Chemical maintains superior laboratory quality standards, with Nadcap® accreditation for nonmetallic materials testing and ANAB® accreditation, under the international standard ISO/IEC 17025:2005, for technical competence in testing and laboratory quality management. See our Scope of Laboratory Services listed below. *FMi Chemical's testing laboratory is a certified LCS (Laboratory Control at Source) for Pratt & Whitney. Leading aircraft manufacturers depend on FMi Chemical to provide nonmetallic sealants, compounds and coatings that are pre-certified for quality and performance, and are application-ready when they arrive on site. Your materials inventory represents a significant investment for your company. Waste and obsolescence can be costly. Our recertification program can extend the shelf-life of stored materials, reduce waste, and help maximize your inventory investment. FMi Chemical will test and recertify any of the products we manufacture, at no cost to you. And, we can work with you to implement recertification programs for many of the leading-brand materials that we repackage. Ask us how you can save time and money with product recertification.